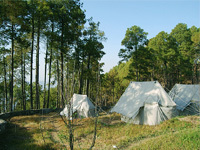 Skylark Journeys offers you one of the finest accommodations in Char Dham, the cradle of eternal tranquility. 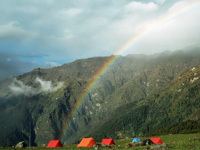 The spiritual solace of the Char Dham yatra endows peace of the mind and soul. Set amidst the serenity of plush flora, a stay at the commodious hotel in Char Dham feels like a ‘home away from home.’ Dotted with the sacred shrines, the Char Dham yatra gives an insight into the glorious Hindu mythology that carries the most amazing tales of miracles and marvel. The Char Dham pilgrimage tours are believed to set the spirit to a novel journey of salvation that imbues the soul with a regenerated self.